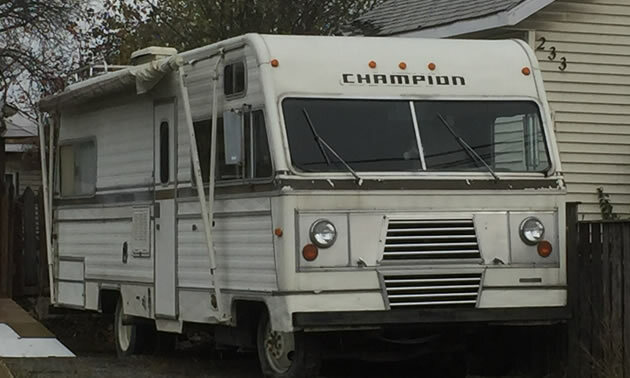 It seems that Champion was another Dodge brand in the heyday of motorhomes when everyone was jumping into the rapidly expanding motorhome market of the 1960's and 1970's. When you start looking for them, it seems like vintage (old) motorhomes keep popping up everywhere. In parking lots of apartment buildings, tucked in beside houses, semi-abandoned in farmer’s fields, or hidden behind dealerships etc. Well I recently spied a “Champion” motorhome, which looks like it has become a quasi-permanent home for someone. 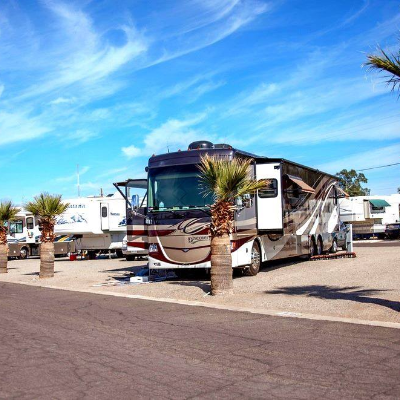 So what’s the story behind Champion motorhomes? It seems that Champion was another Dodge brand in the heyday of motorhomes when everyone was jumping into the rapidly expanding motorhome market of the 1960's and 1970's. Evidently Champions were built from the early 1970s until the mid-1980s. While Dodge powertrains supplied the momentum for Champion Class A motorhomes through the 1970s, the Class C between 16 and 22 feet were powered on General Motors chassis frames. 1986 was the final year of Champion motorhome production. One discussion forum talked about the Champion, “Champion purchased a company called Farin Ultrastar. It was sold or taken over by Champion. If you are looking at an Ultrastar it is a very well made coach. We had a 28' on a P30 chassis with a 454 Chevrolet." So also seems like the Champion line eventually became part of the Ultrastar company at some point in time and evidently that company changed hands many times or ceased to exist altogether. 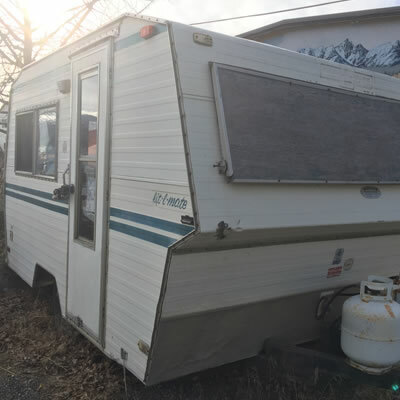 Another discussion forum stated, “Chrysler had to leave the motor home business in 1979, to focus on their core businesses in a time of bankruptcy avoidance. Travco, (a possible purchaser of the Champion line as well) meanwhile, had made numerous questionable decisions from 1973 onwards, and the company was eventually sold to competitor Foretravel at public auction. Patty Kolesnichenko and her family enjoy retro RVing. Their very first camper, a Boler, whet their appetite for a life of vintage camping.